A range of expanding collets with a standard 5C body. The split head has an expansion range of ~0.006" and is expanded from the front by tightening the centrally positioned screw. The soft head can be machined to the required size. The threaded part is separate to the main body and is fixed via an offset spring loaded screw. 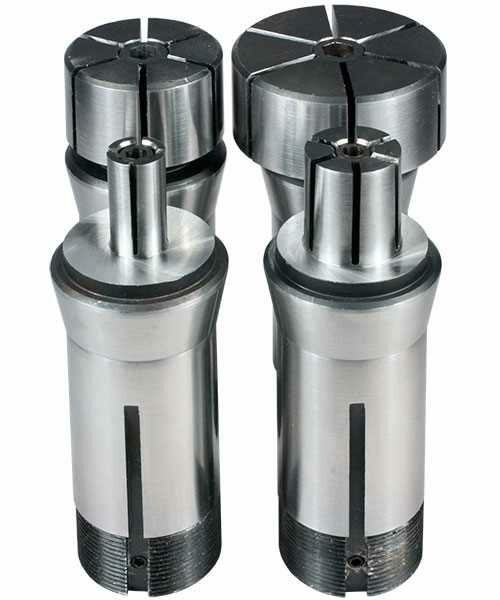 This enables the collet to be quickly expanded and released using a suitable quick release 5C fixture.